The Mayor of London, Rt. Hon. 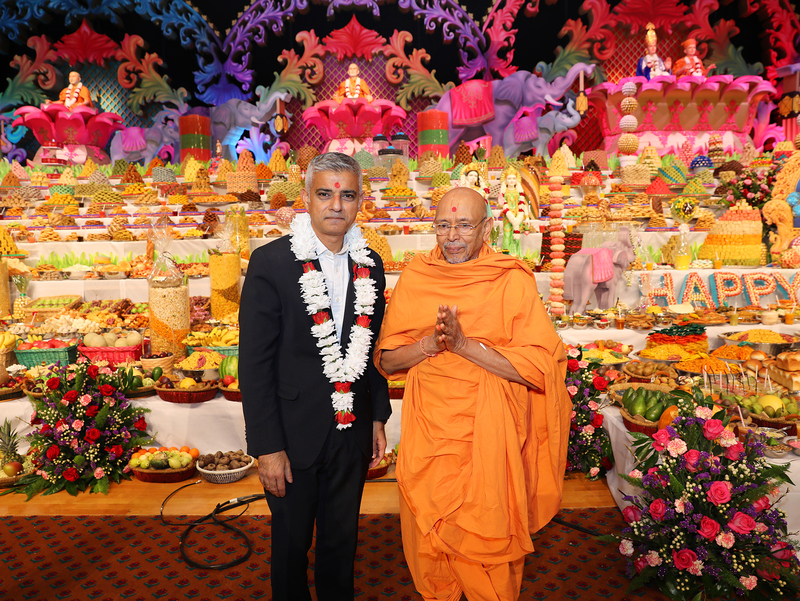 Sadiq Khan, joined thousands of devotees and visitors at BAPS Shri Swaminarayan Mandir, London, on Thursday 8 November 2018 to celebrate the Hindu New Year. 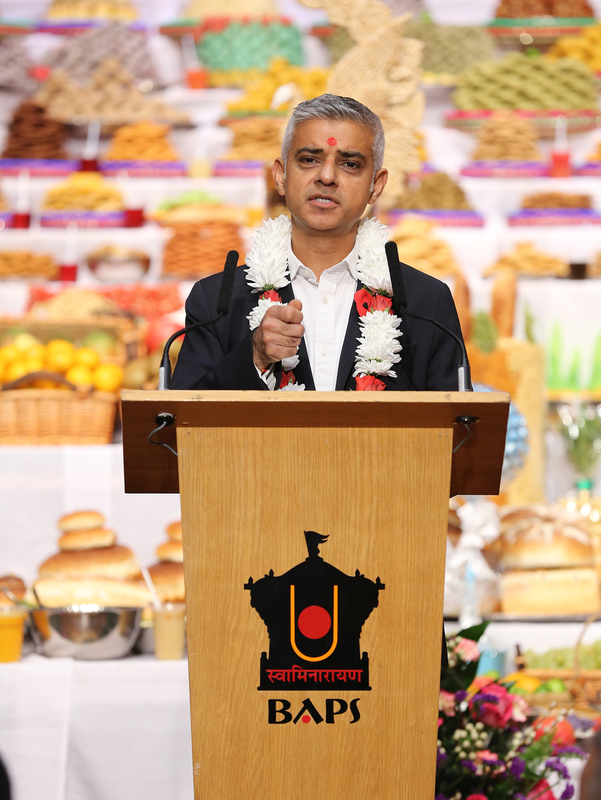 This was Mr Khan’s third visit to the Mandir, following his previous visit in November 2013, while he was MP for Tooting, Shadow Justice Secretary, Shadow Lord Chancellor and Shadow Minister for London, and again as mayoral candidate for London in 2015. 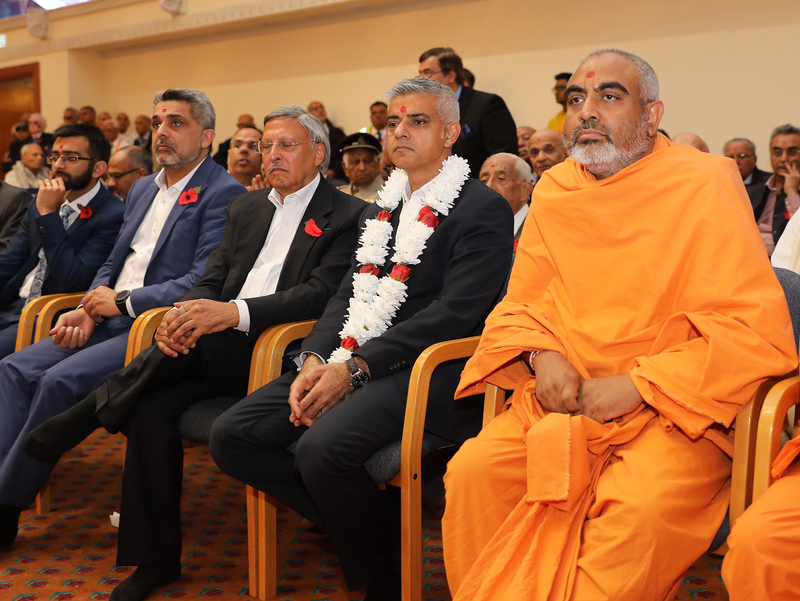 Mr Khan joined swamis shortly after 11.30am inside the upper sanctum for rituals thanking God for his bountiful providence. 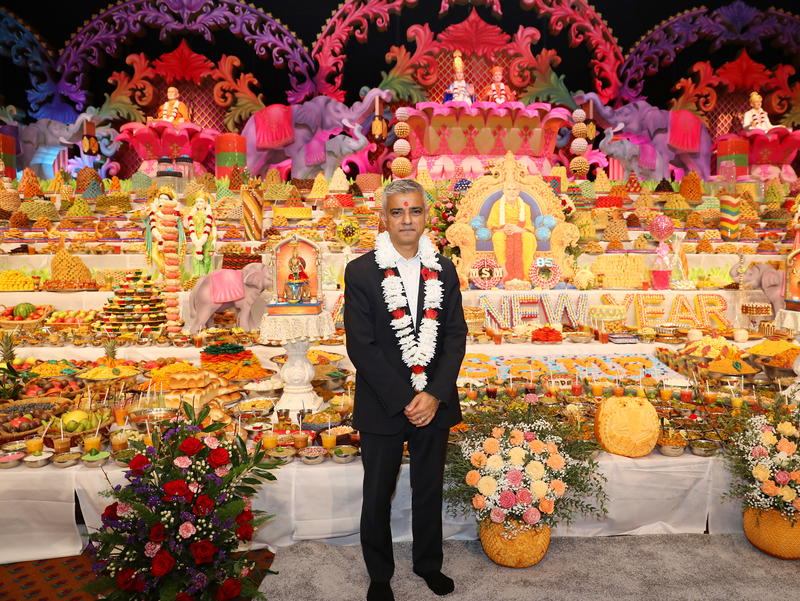 The Mayor then joined the congregation in the assembly hall where an artistically arranged annakut (literally, ‘mountain of food’) was offered to God in thanksgiving as the first meal of the New Year. 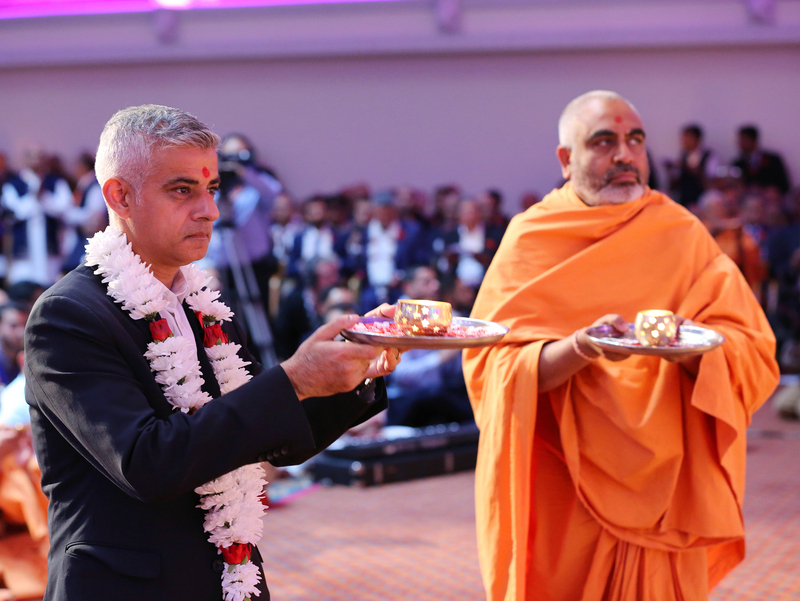 Mr Khan was welcomed in traditional Hindu manner with a garland of fresh flowers by Sadguru Pujya Tyagvallabh Swami, visiting from India, and Yogvivek Swami, Head Sadhu of the Mandir. 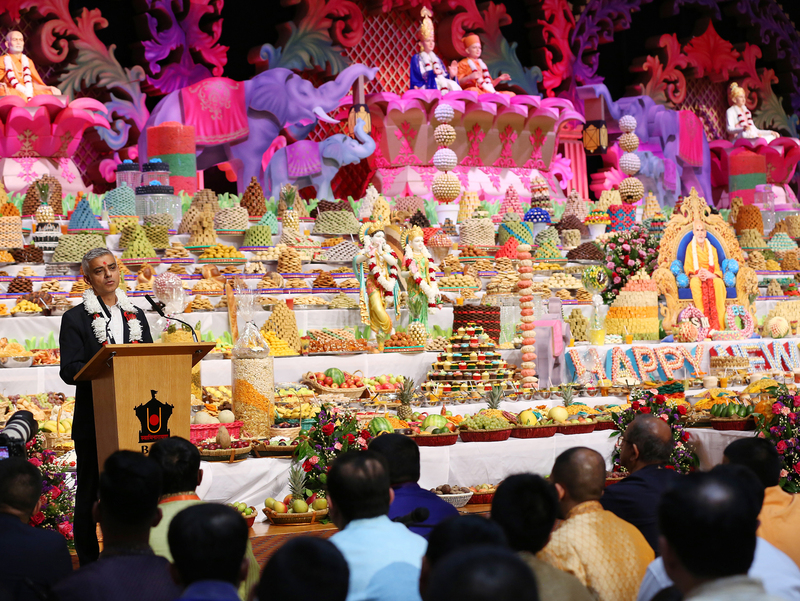 Sadguru Pujya Tyagvallabh Swami also addressed the assembly, praying for peace, harmony, success and righteous prosperity to prevail throughout the world. 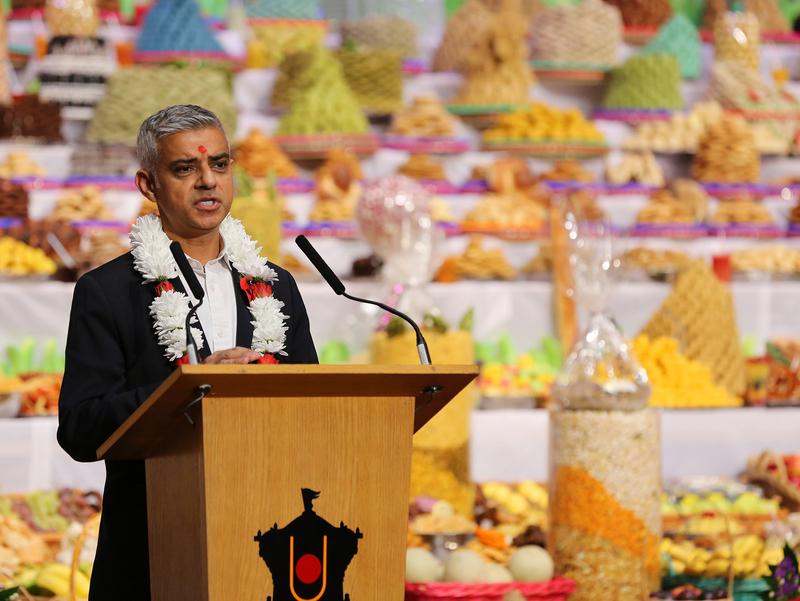 The Mayor participated in the annakut arti before departing.